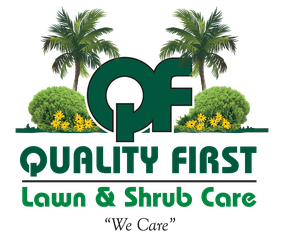 Quality First Lawn and Shrub Care in Orlando, FL - Quality First Lawn And Shrub Care Inc.
"We Care"...and We Really Do! Quality First prides itself on being the best Lawn & Shrub care company in the Orlando area. Through our knowledge and experience, willingness to utilize the best fertilizers, insecticide, fungicides, and herbicides, and the simple fact that we really do care, choosing Quality First Lawn & Shrub Care will be the last Company you call to maintain your property. Through technology, science, understanding of biology and habits Quality First will develop a program that suites your individual needs to resolve and protect your Orlando home from crawling pest like roaches, ants, spiders, silver fish, pantry pest, rodents, and even those occasional invaders. We provide a mosquito control program that will let you take back your back yard. Our termite protection program offers a treatment using Termidor (Americans #1 termiticide) and protects you with a written Damage Repair Guarantee. 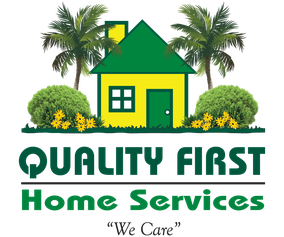 We really do care at Quality Fist Home Service, and will provide home pest services that will make you forget about bugs in your Orlando home. In Florida and Orlando specifically, our turf and plants rely on irrigation to survive, especially during our hot and dry seasons. Precision Water Works will inspect your system and provide an analysis of all issues that could result in the loss of plant material during these extreme periods. 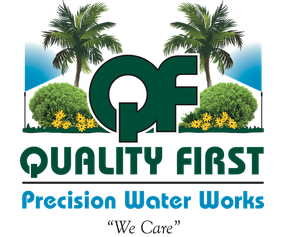 Quality First Precision Water Works really does care and we will never offer a plan that simply patches problems, but instead we will show you why things need to change and the benefits of making those change so that you get maximum return from your system while keeping our precious water supplies in mind.